Oikura started speaking before I could even take my seat. On the other hand, the three girls, who had all fallen in step behind Shuui, were already sitting in their respective seats. I, however, was still standing in amazement at this rare occasion that all of my classmates were still in the classroom after school has been released. Completely ignoring me, Oikura continued to speak. The harsh tone of her voice echoed across the room. As someone she despised, it was a tone I was considerably familiar with. Her unwillingness to compromise or search for a common ground only darkened the classroom’s current atmosphere. It represented the word ‘negative’ perfectly. Oikura said, finally glancing in my direction. Just when I thought to settle down in a chair, I was scolded for leaving the door open. I didn’t think that an open door was something to fuss over, but it might have been her method of showing everyone that she wouldn’t allow anyone to leave this room. On that note, all the windows had also been shut. During summertime, it would be torture to seal up a classroom without air conditioning, but… did she create this uncomfortable environment intentionally? Perhaps she thought that the perpetrator would confess if she did this? What were they looking for in the first place? Why organize a full-blown trial? All of this sounded like something from a mystery novel. In the first place, were these the kinds of things that should even be discussed after school? She got pissed. And spoke with a harsh tone. A tone that even a girl who had her weight revealed to the world would probably never have use. I shut my mouth as I was told, but I don’t remember doing anything that deserved hatred to that extent. Her hostility towards me was irrational as always. A jeering voice flew towards the teacher’s lectern. The owner of that voice, Okitada Kouma, sat at the front of the class. Kouma crossed his legs under his desk in annoyance, and grumbled an objection at Oikura. The tension in the classroom built up in a split second. Kouma had quite the beautiful voice, so normally, even if his words were sharp, he didn’t leave a bad impression. However, this time, even his beautiful voice couldn’t deceive anyone’s ears—or rather, it just couldn’t cover for his rude words. I had no idea what was going on, but maybe we were discussing a sensitive topic for him? Perhaps he voiced the class’s opinion correctly? Besides Kouma, I could only name a couple of other students that could speak out like that in our class. Naturally, I was not one of them. Even more so because I had no clue about what was going on… but it seemed like I was the only one who was unaware. Did she already give a brief explanation on what we would be discussing while I was still being escorted to the classroom? If so, I give up… I might as well act deaf. While she used no honorifics with my name, she added a ‘-kun’ to Kouma’s. Actually, as far as I know, I was the only male student in our class that she had ever addressed without honorifics. Maybe she was trying to emphasize the difference between me and the rest of the class. Well, I have no reason to tell her to stop treating me differently. Oikura nonchalantly shifted the blame upon us, and began her explanation of our current situation. That said, it was a very simple, easy to understand explanation. No. I don’t. Well, actually, I don’t really care. Did they? So, something like that was happening somewhere I couldn’t care less about …what’d she say it was? A study session? I think last Wednesday was the day before the term’s finals exams… Ah, I see. Test preparations, huh. With that, around half of the students raised their hands. Everyone lowered their hands before I could finish counting, but at least fifteen of them had held up their hands. Seemed like quite the study session. On the contrary, that also means that, including me, around half of the students present didn’t participate in this study session. For instance, the guy who just lodged a complaint at Oikura, Kouma, didn’t raise his hand. The study session was optional in the first place. Don’t make it sound like we were supposed to be there. Ah, now that I think of it, the examinations on that Thursday were on the subjects math and physical education. One hour for physical examinations and two hours for math. So that’s why the study session revolved around math. Well, the idea of everyone gathering to study for a sweaty physical examination wasn’t very appealing in the first place. Oikura voiced it as if it was one of her own personal achievements. Well, in reality, I’m sure it probably was her own achievement. In terms of popularity, Oikura was at a large loss. However, despite this, she had managed to win the election as class president, and, naturally, there were reasons why she had been elected. A timid hand went up. It belonged to the student sitting next to Kouma. Hayamachi, who sat just opposite of the teacher’s lectern, voiced her opinion. I found myself a fellow sympathizer. Though, Hayamachi—Seiko Hayamachi probably didn’t think of me as anything more than a classmate. Oikura said in return. Speaking of why others would judge at her remark, Hayamachi looked quite the prodigy. She did her nails, covered her face with a thick layer of makeup, dyed her hair brown, and still attended Naoetsu High School. So, naturally, a heavy murmur of gossip constantly revolved around her. Well, if I had to say, she was more of a hard worker than a prodigy… and to Oikura, she was on equal terms with Kouma in terms of unpleasantness. Even then, she couldn’t even compare to me. I wasn’t just repulsive; In the eyes of President Oikura, I was an eyesore she couldn’t bear to even look at. Oikura, ignoring Hayamachi, who had no intention of taking back her words and was sitting there twirling a lock of hair around her finger, began to speak again. Oikura glared at me as I responded with those words. I guess the lower life forms like me with barely any ability of conscious thought weren’t even permitted to mumble in response. Tetsujou sent a pitying look in my direction. Komichi Tetsujou. Softball team. If Oikura was the director of the class, then Tetsujou was the manager and the peacemaker. 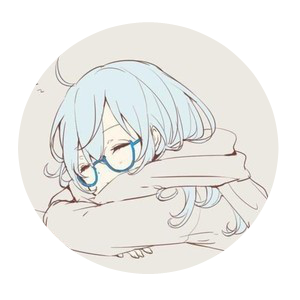 In her own right, she fretted over the discord between Oikura and I. But, in our current situation, she couldn’t speak out, so she remained more silent than usual. Sparing me some sympathy was probably the most she could do… However, I’m sorry to say this but, that look of pity was a pointless waste of energy. Well, it was a far more desirable outcome than an abrupt war of words starting between the two. Despite calling it a war of words, between the keen, sharp-tongued Oikura and the lisping Tetsujou, it could barely be called a contest. The voice came from the girl sitting one seat behind Tetsujou, Mebe—Miawa Mebe. She was from Kansai, and often went by the nickname of “Whippy (ホイップ)”. “Awa (泡)” from her last name really had nothing to do with whipped cream, but she got along with Toune, so her last name had somehow warped into something related to sweets. It was because she was so good-natured that she was able to build a friendly relationship with Oikura. (In my eyes, that in itself was a miracle. I would love to beg for her sagely guidance, but I’ve never talked to her even once before.) That was why she was able to bluntly interrupt. Intense hostility radiated from the way she pronounced ‘someone’. It was hostility that rivaling even the burning hatred she held towards me. Mebe tilted her head to the side. Perhaps Oikura thought that listing all the possible reasons would be a pain, but to cite a couple examples the two reasons she listed here were ‘to blend in’ and ‘the pleasure of being known’. Or maybe she was putting off thinking about it for later. Bang! A hand struck down on the teacher’s lectern. Then, for some reason, Oikura Sodachi glared daggers at me while she spoke. Like a declaration of war.